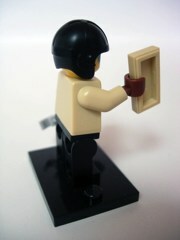 I picked up the LEGO Traffic Cop for one simple reason: I didn't have one yet. 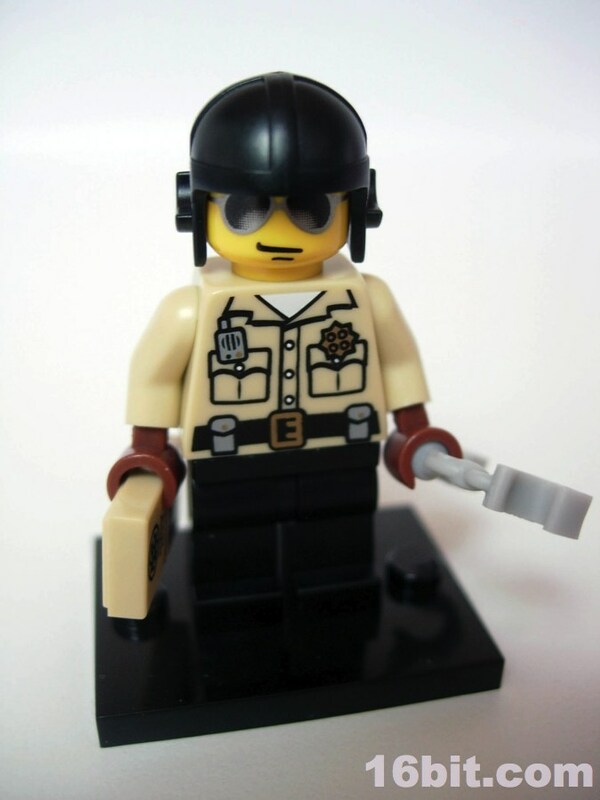 I had no need for another cop figure, but toy collecting often begets bad behavior, and what better figure to serve as a representation of this than a cop? I was in a closing bookstore chain and figured I should go ahead and snag anything they had that I didn't. If nothing else, it would be a fun way to remember Waldenbooks other than as "the place I bought Teenage Mutant Ninja Turtles Adventures comic books issues 6-13" and "the place I went to at the mall when I was done at Kay-Bee Toys." There is nothing here to surprise you as the figure design goes. The design is interesting, which is really while we're all here. The face has a smirk that reads "gotcha," with a gradient in the lenses which gives him a slightly exaggerated sense of reality. The uniform is particularly nice, with a badge, walkie-talkie, buttons galore, belt, belt buckle, and little pouches for (I'm assuming) Tic-Tacs. Or ammo. Whatever. 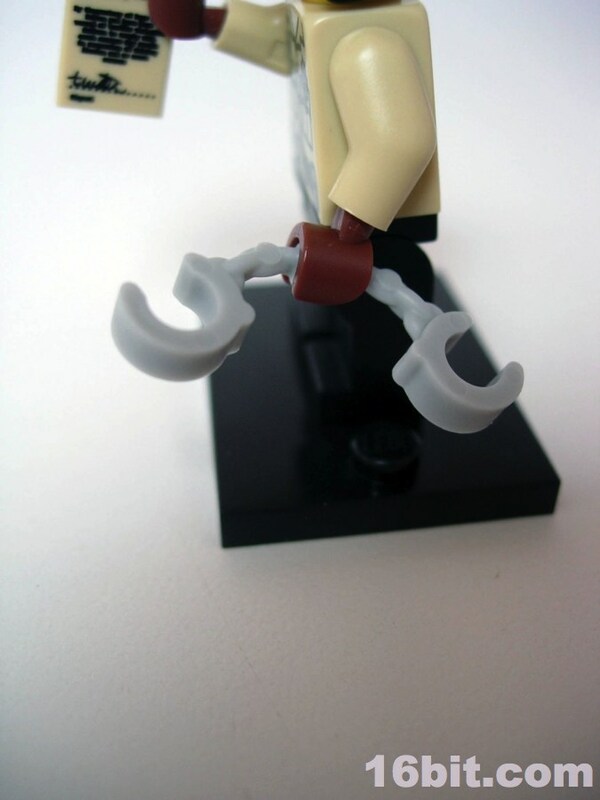 The legs have no deco, but the upper torso also has a white undershirt, meaning he's wearing more than a lot of other figures you own. So score one for what you can do with paint. The accessories are what really sell this figure. 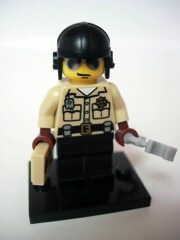 Sure, the helmet is nice, but this guy comes with a speeding ticket and handcuffs. The speeding ticket reads "Highway Patrol Speeding Ticket" and from there it's pretty much impossible for mere mortals to read. I think it's telling you how great your eyesight must be if you can read it. It's even signed, which is a nice touch. 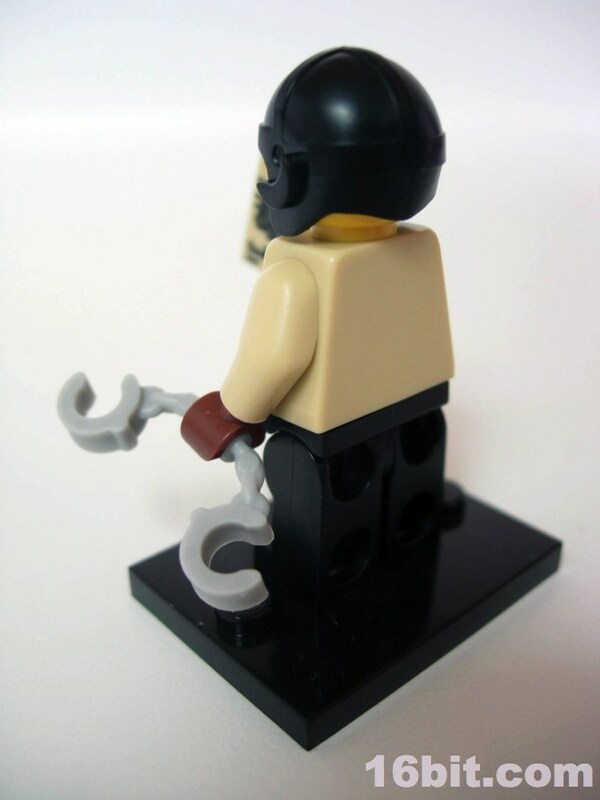 Rounding out the set is a pair of handcuffs, and you can attach them to pretty much any LEGO figure with two arms. The plastic feels like a softer PVC, which is what you want here. There's a little give so they hopefully won't snap during play. 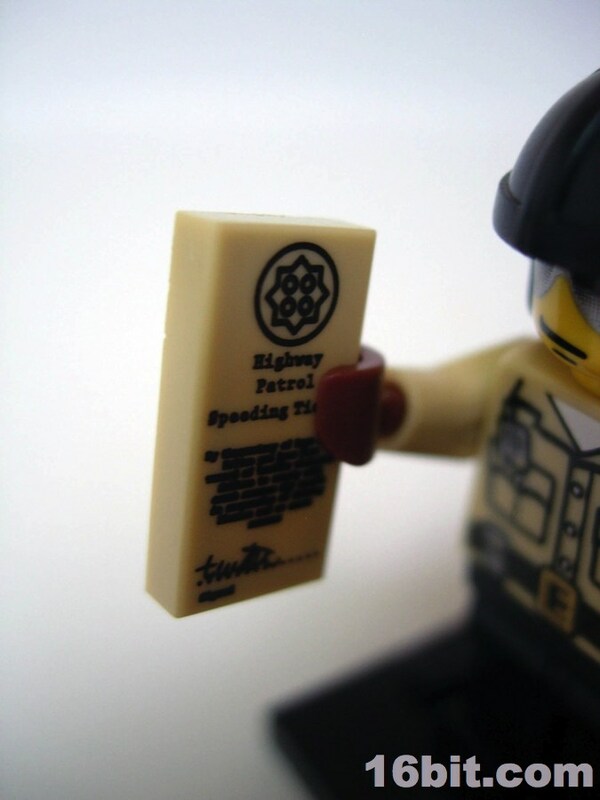 The entire package is neat, but I wouldn't suggest overpaying for this one unless you really need a LEGO Speeding Ticket... and now that I type out that sentence, I think I do need one.